International Day of Forests, 2019, with the theme of the year, “Forests and Education: learn to love forest” provided us with the opportunity to use that power. To communicate with educators as students, be mediator of forest education to children, the foundation of our future, and learn, learn from the forests, the nature, and experience and try to “see” with “The Foresters’ Eye”. The members of LC FRI, India grabbed this opportunity. Brought together all students from Forest Research Institute, India together, involved school children, teachers, parents, and as well educators and scientists to observe the International Day of Forests and host relevant events with great spirit and enthusiasm. 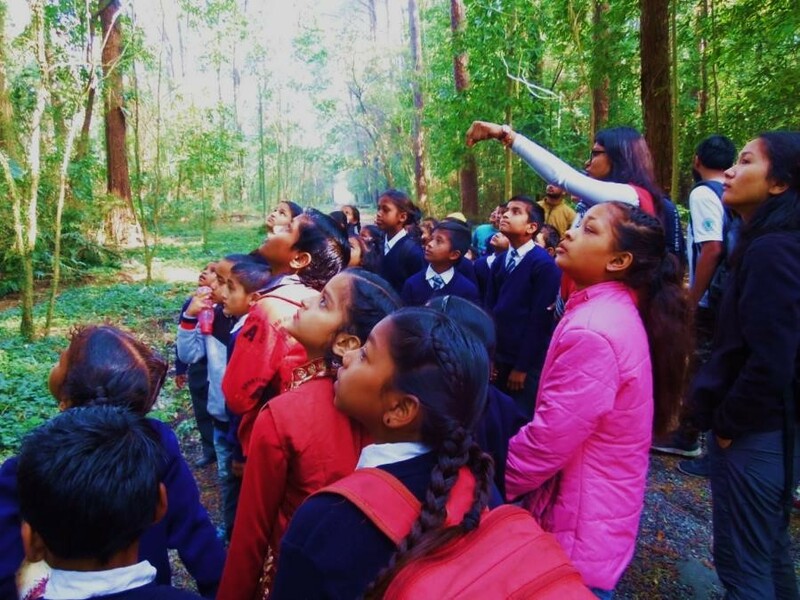 A series of events spread over days on and around 21st March, 2019, from introducing little children to the amazing world of Forests to taking those little sunshines into the nature followed by a meaningful discussion with the educators, all the while show-casing the talent and creativity of sustainability by the student members of LC FRI. The students of three government schools were taken under umbrella for this program. The students of Government Primary School at village Harjipur, Rewari, Haryana, were involved in the first round activities by Rachana on 15th March, 2019, where she took classroom into “wild-imaginations”. 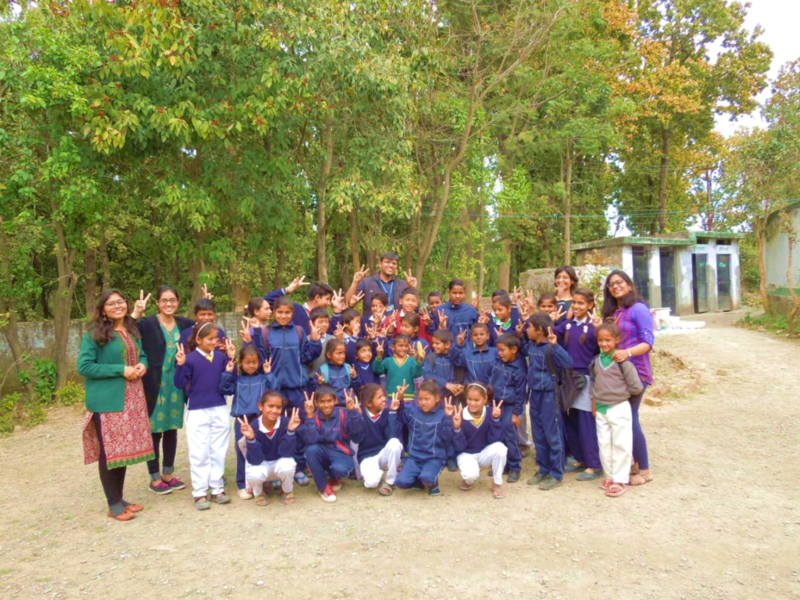 Two schools at Phulsani, and Sahaspur village at Dehradun, India, were covered in second round where volunteers not only story-telled the young kids about the importance of forests, nature and wild life but also presented first hand examples to sustainably upcycle wastes and use them in decoration and make them useful. The whole event was a learning process both for the volunteers and the students. Team LC FRI, under the leadership of Rachna Yadav, MSc. Environmental Management 1st year, made every effort to give the children an idea about nature and helped them grow interest on learning about the birds and the ants and the soil and the trees around them. As Thoreau said “In wildness is the preservation of the world” and “All good things are wild and free” the little sunshines from New Rosewood Primary school, Forest Research Institute (FRI), Dehradun, were taken into the Reserve forest of FRI, to give them an opportunity to learn the colors of nature and paint the canvass of their minds and may be our future too with the beauty of wilderness. Under the leadership of Souvik Ray and Sunandini, both MSc. Wood Science and Technology, team IFSA LC FRI, accompanied the children, and their school teachers inside the Reserve forest of FRI where they expanded their ideas about the nature, learnt about biodiversity in the campus, the different kinds of trees and their uses, the importance of forest and ways to conserve them. Laqshika Patyal, a 2nd year student of MSc Wood Science, shared her deep knowledge of forests from her six years’ experience in studying Forests on and off field. The students’ overwhelming response and curiosity to learn more about forests stood the greatest motivating factor for LC FRI to run the events with an earning to organize more in the future. 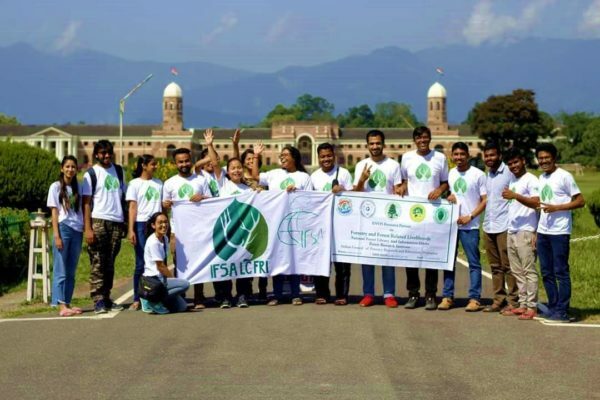 The aim of IFSA World Café Theme was to involve educators, help them identify dreams, actions and power of youth in the field of Forestry, Sustainability and Forest Education, come together, brain-storm and lay out future road map for a common better future. The LC FRI used their creativity, and energy and innovation to decorate a “Sustainability Café” to attract and invite the scholars, scientists and educators visiting the FRI, for celebrating the event of International Day of Forests organized by the ICFRE and Ministry of Environment, Forests and Climate Change, India. 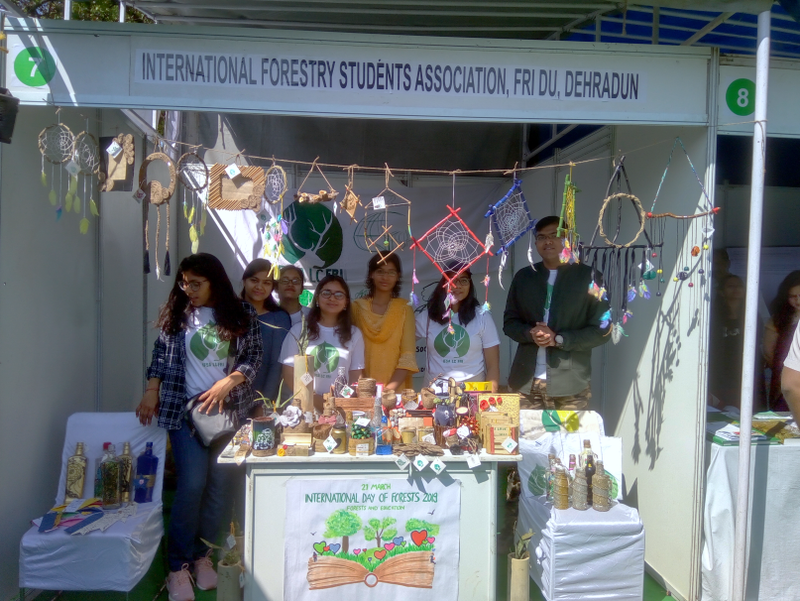 In the Café, the students of Forest Research Institute displayed their “Best out of Waste” upcycled products, made of old plastic, paper, and other waste materials. In order to reuse them in decoration, the other raw materials used were eco-friendly, organic and natural in origin. The scientists, and officials visiting the café were involved in active discussions about how sustainability practices, and natural forest base lifestyles should be part of education not only from elementary level, but in every arenas of professionalism. Worthy discussions on how Forestry and Natural Science Students may serve as mediators from lab to land were also explored. The fund generated through the event also goes to the LC FRI, which serves the self-sustenance of the Local Committee to organize more such small events in her capacity as always. Himani Saklani, MSc. Forestry 1st year along with Mohammad Tayyab Quazi and Kumari Manisha from MSc. Forestry 2nd year led the “Sustainability Café” where the former was “Creativity and Fund-raising Head” and the latter two served as “Café-Discussion Heads”. Further, LC FRI chose their Social Media platforms (Facebook & Instagram), under the lead of Swati Dagar, MSc. Forestry, 2nd year to spread love for forests and views and ideas on forests and education far and wide through Photos and Articles invited from all with the this years’ theme on ‘Forests and Education’ for observing this auspicious International Day of Forests, 2019. Our active members and volunteers Aanchal Verma, Agnish Kumar Das, Ankita Zagade, Ankush Chowdhury, Anand Anil, Bhavya Thapa, Bugatha Rohini Kumar, Hemant Sharma, Priya Devi, Diksha Verma, Kirti Jain, Laqshika Patyal, Suraj Kumbhar, and event heads Rachana Yadav, Souvik Roy, Sunandini, Himani Saklani, Mohammad Tayyab Quazi, Kumari Manisha and Swati Dagar did commendable job in successfully organizing the events and spreading awareness on Forests and IFSA over all. Further, to mention, our members, Agnish Kumar Das and Ankush Chowdhury won Debate and Photography Competition on the theme “Forests and Education” by upholding role of students in Forest Education in the National Event organized for the International Day Of Forestry by Ministry of Environment, Forests and Climate Change (MOEFCC) India. Under the guidance and strong leadership of President Nabam Sonia and 2018-’19 Board, IFSA LC FRI fared quite well, even being a beginner in IFSA. We are confident that with our Love, Passion and Devotion for Forestry, Forest Education, we’d surely be able to uphold the visions of the greater International Forestry Students’ Association Family in our country, our region and in our lives, in our professions and march together for the greater good of our society, and a beautiful natural future.